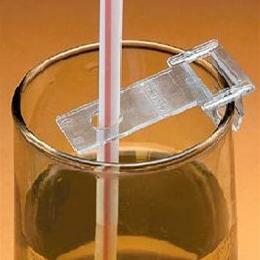 For people who are unable to hold or drink from a glass, this clip-on device eliminates the need to hold the straw. Mounts onto the edge of any glass or cup to keep a drinking straw in position. Will accept any straw under.